Thanks to everyone who participated in the giveaway! I appreciate each and every one of my readers and I hope that some of you will stick around and enjoy these awesome books with me. Didn't win? Look no further than the Giveaway Page or Calendar for more chances to win great prizes! shivani s.! 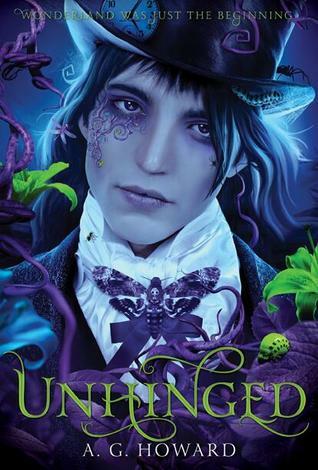 you won a copy of either splintered or unhinged! candy h.! you won an a.g. howard swag pack! look out for the next giveaways and more reviews coming soon! we have a ton this month and next month, including gateway to reality by becca campbell and manicpixiedreamgirl by tom leveen (coming april 23)!